Occurring October 8—14, 2017 Fire Prevention Week encourages fire safety for your family. The theme, “Every Second Counts: Plan Two Ways Out” reminds everyone why escape plans are important. Many families don’t have one in place and the cost, should a fire happen, can be someone’s life. But how do you prepare your family for a potential fire? And what are some ways you can help keep a house fire from spreading? The most important piece of the fire safety puzzle is having an escape route. Every member of your household should be able to identify two exits from each room. If one exit is above ground level, ensure an escape ladder is easily accessible near the exit. Practise your escape plan with the entire family, including pets. Try using necessary equipment like fire extinguishers and escape ladders. Teach your family to close doors behind them when fleeing a fire as this could help stall the spread of flames. 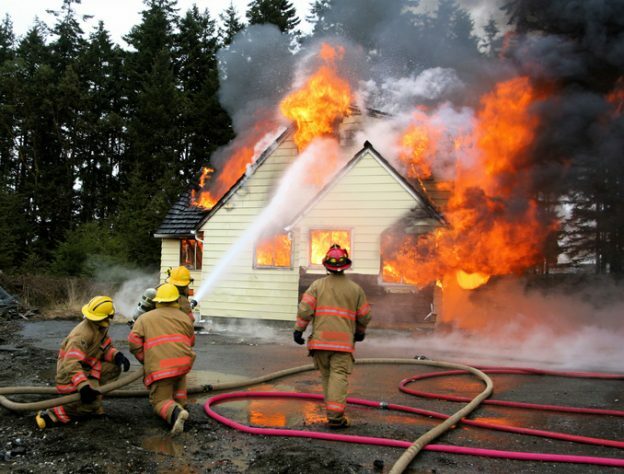 Instill confidence in your children when it comes to fleeing a house fire. They need to know how to escape even if you’re unable to help them. Teach them how to dial 9-1-1 in the event a fire starts when you’re not home. Make sure your child feels safe dialing emergency responders from a neighbour’s house—or that they can ask a neighbour to do it for them. And all family members should be reminded that they should never re-enter a house that is on fire. At Paul Davis, we understand both the science and the emotional toll of fire. Our specialized training, cleaning methods and equipment combined with our experience means quicker cleanup, lower restoration costs, and a faster return to normal for you and your family.